by J. Gregory Payne, Ph.D.
Kent State: A Requiem written by J. Gregory Payne, is a dramatic and factual examination of the events of May 4 from the perspective of Mrs. Florence Schroeder, whose son Bill was one of the 4 students killed. 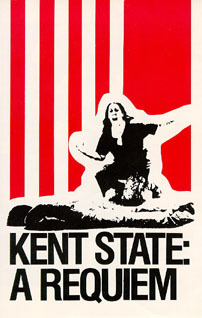 The play was first performed as a Readers Theatre production as Kent State: A Wake at Yale University and Occidental College in 1976. This piece formed the roots for Kent State: A Requiem which toured at various colleges across the nation in 1980. 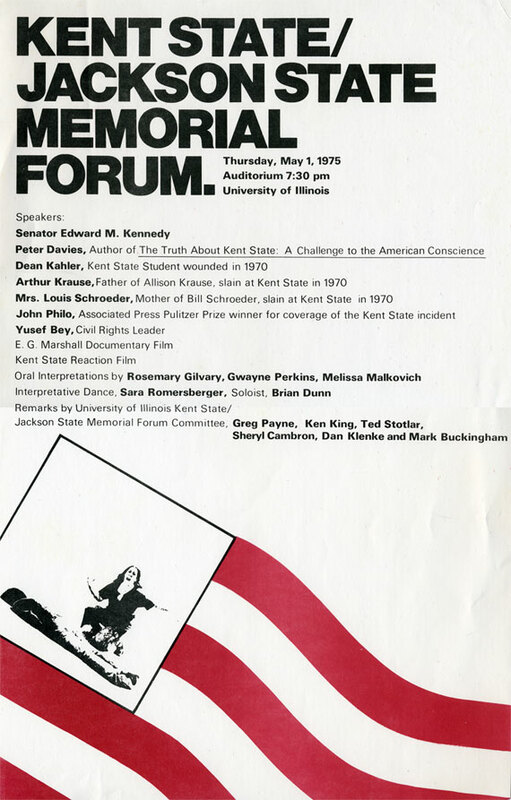 It was performed at Kent State in 1990 and in 1995 as part of the commemoration program. See images of Kent State: A Requiem in the photo collection. under construction, more on the way.